An address in the French Quarter with a distinct colonial stamp. Palais de Mahe lies close to the sea side promenade, barely 50 metres from the cool breezes and gentle rumblings of the Bay of Bengal. This signature hotel - with its majestic courtyard, deep verandahs, attractive pillars and period furniture - combines south Indian fire and flavor with French intensity and fervor to bring you an experience that is in every way unforgettable. I don't quite know how they do it but their winning formula is an example to any business. They get the big things right, they don't miss the small details. When we return to Puducherry as they call it now, we wouldn't think of staying anywhere else. 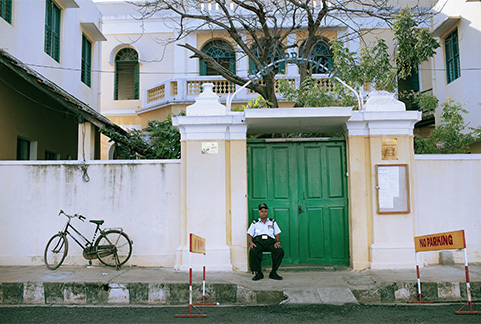 Pondicherry is a city with rare mix of French and Tamil cultures. It's common to see families with mix of French and Tamil parents with Franco Tamil children. Many Pondicherry Tamilians hold French passport, have served in the French navy. The French game Pétanque is popular in Pondicherry and it's amusing to see an Indian city with road names written in French. 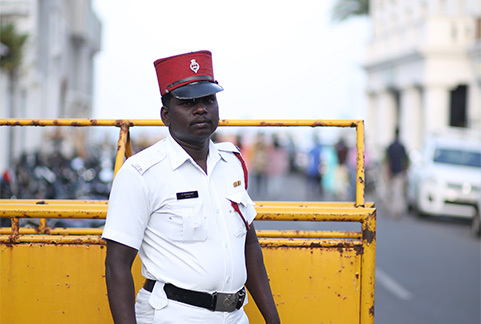 The Puducherry Police date back to the period of French colonial rule prior to 1954. Separate Armed and Indigenous (local) police units were maintained at that time. The modern force still retains the French kepi as a distinctive feature of its uniform. 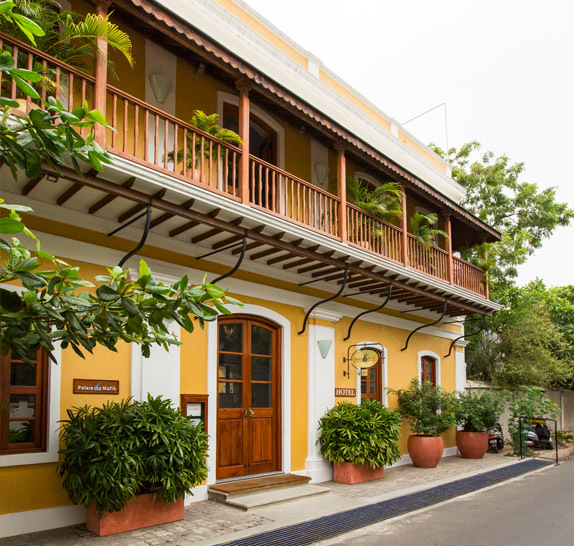 Palais de Mahe is located in the heart of the French quarter of Pondicherry close to the Bay of Bengal. It is just footsteps away from the famed promenade - far enough to keep the noise away and near enough for you to stroll over in flip-flops and catch the breeze at any time of night or day.